How Can Public Servants Use EQ to improve community relations? With so many conflicts between citizens and police in the news, how can emotional intelligence play a role in de-escalating tensions? Mark Bond, assistant professor at American Military University, is an expert in Police Patrol Procedures, Law Enforcement Stress Management, Police Ethics, and the Scholarship of Teaching and Learning in Criminal Justice Studies. He is also a former police officer. Here are his thoughts on how current events are affecting the ability of officers to use emotional intelligence in the field and how necessary training in this area really is. Rachel Goodman: Reflecting on recent high profile cases such as Ferguson, what conclusions or insights might we draw in thinking about emotional intelligence as a possible prevention of future similar situations? Mark Bond: Police administrators and supervisors must not overreact and must find the balance between order and allowing the citizens to peacefully protest. Much of the public has noticed the shift in police tactics since 9/11 to that of a military response and appearance with armored vehicles, military body armor, and duty gear. Being able to respond to “active shooters” is a serious issue and one of the reasons that local law enforcement has adopted military surplus equipment to protect their officers and communities when violence occurs unprovoked. The down side to this response solution is that the community feels they lost their police department as protectors and that their local police department is now the aggressive crime fighter. There needs to be a balance to earn respect and trust. Open communication and respect for opposing viewpoints is directly related to the ability to use EI effectively. Rachel Goodman: Given the intense pressure on police officers, how might emotional intelligence training help them cope ? What competencies would be the most useful in dealing with interpersonal or group stress? Mark Bond: Policing is now done in a fishbowl. Anytime an officer is interacting with the public, they are being filmed and the police are also using body cameras to protect officers by filming the officer’s interaction. The stress of policing in an “entitlement society” that is looking for confrontation is highly stressful. Officers must learn to develop their EI and react within the guidelines of the department and the local laws. We see the nightly news in which an officer has become emotionally invested in arguing with a citizen and this often turns into a physical confrontation with a third party filming and posting on YouTube. The officer’s actions are already being critiqued before the arrest reports are finished. Being emotionally mature is a critical trait for an officer to be successfully. Learning to recognize triggers, and immediate apply reasoning skills to make a good decision, is one of the most important cognitive skills a police officer can have today. Rachel Goodman: How many academies or training programs of public officers incorporate, to your knowledge, the methods and assessments of EQ? Do you have any models which you feel are working well to prepare officers? Mark Bond: Many police departments use training simulators such as the “Shoot, Don’t Shoot” with realistic scenarios. These scenarios are designed for the officer to use emotional intelligence and react quickly. The Baltimore City Police use this training in their initial police academy training and during in-service training. Rachel Goodman: What role does emotional intelligence play (how is it used) in hiring and screening officers? Mark Bond: New police recruits are given psychological tests and evaluations as part of the hiring process. Part of these evaluations are screening for emotional intelligence. Mental health care providers evaluate the test and report the findings back to the department as part of the suitability and vetting process. 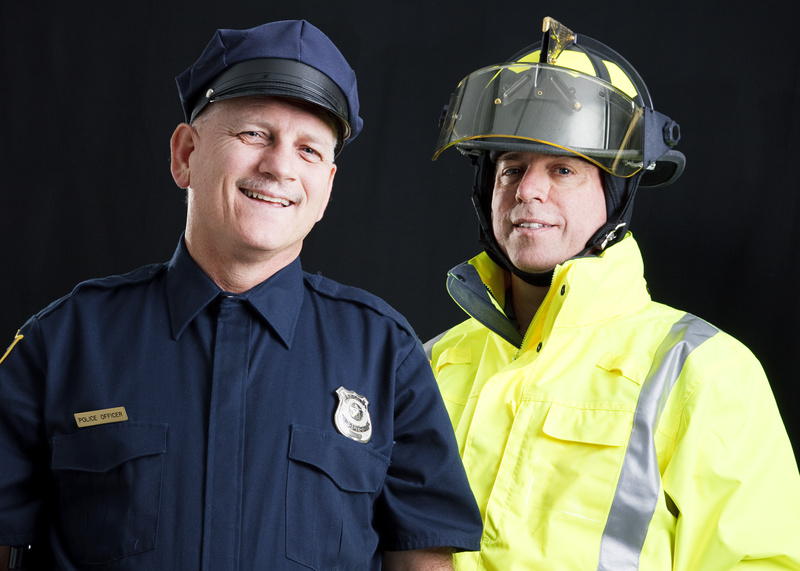 Departments and the public want stable officer capable of problem solving under stress. Departments need to be responsible and if any “red flags” appear in the background investigative process that questions judgment or integrity, the department must pass on this applicant. Rachel Goodman: How might coaches, trainers, and others skilled in emotional intelligence go about offering their knowledge and services to the field of law enforcement? Any opportunities for training and assessment you know of that Six Seconds might be made aware of to bring its powerful toolset to those who might benefit from them? Mark Bond: Parke, Seo, and Sherf (2015) stated that employees can be trained to increase their emotional intelligence when responding to difficult work environments. Officers need to get into the mindset of not taking things personally when they occur on the streets. When officers become invested and emotions take over it reflects through the behavior and actions. Staying in control of your emotions can prevent officers from overacting when a citizen is noncompliant. Training officers on how to increase their EI should start in the academy and be mentored when the new officer transfer to field training. The Field Training Officer (FTO) should be trained in coaching the techniques to improve EI and helping the new officer adjust to the realities of policing. Experimental learning is a good learning theory to apply the concepts of EI to new officers during their field training. The “Q-Tip Method” works well and is a code word officers use to help stay in control of emotions (Bond, 2015). The code word acts as a trigger during the event as a reminder to officer to stay professional and in control (Bond, 2015). Parke, M.R., Seo, M.G., & Sherf, E.N. (2015). Regulating and facilitating: The role of emotional intelligence in maintaining and using positive affect for creativity. Journal of Applied Psychology, 100(3), 917-934. I am praying for us all that we may establish a more perfect union. If we can hold up values of our faith, open our hearts to others, use our EI, and seek to preserve and protect then transformation is a mission we can hope for. Is there training courses or online training available as my department is in Canada. I am very interested in this emotional intelligence and think it would be very beneficial for officers in my department. I am an Executive Coach in Edmonton, Certified in the EQ-i Leadership Assessment tool. I provide coaching and team building using the understanding of EQ. I have worked with the RCMP and continue to do so. Pleade contact me if I can be of help. EQ and public service is so critical for community relations. I believe that the tools the public officials can gain have the potential to redefine how we live together in public spaces. I agree that educational training should begin when new recruits begin their work and throughout their tenure on their post. We live in a stressful society that continually presses one to do more faster and to ask questions less. Practicing EQ gives you that brief moment to consider what you are thinking, what options you have, and how to respond on purpose. I’m excited about partnering with local officials I my region to share these tools. Law enforcement, police officers, Armed Forces, Judges, and lawyers are among one of the most stressful occupations within today’s workforce. In these occupations, oficers are forced to deal with a range of emotions such as excitement, anger, trauma, fear, frustration name a few. Incredibly challenging, important work, and I think we owe it to those who serve to equip them for the emotional part of the job. And we owe it to the community too.